A residential roof is more than just the shingles or its waterproofing layer; it is a complex system comprised of parts, all which contribute to protecting your home from the elements. 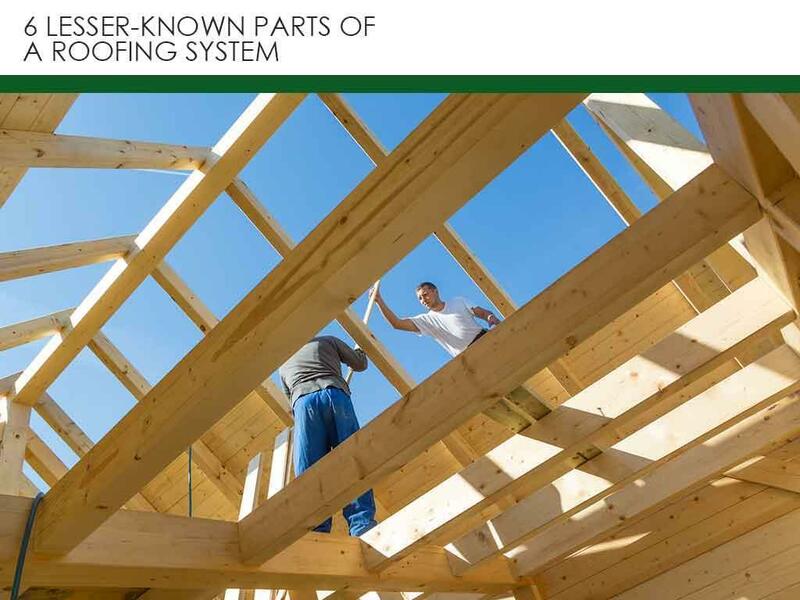 Knowing the parts is important to understanding how your roof works. As your leading local roofing contractor, Tedrick’s Roofing gives you an under-the-hood look at other lesser-known parts of your roof. Truss – Think of the truss as the skeleton of the roofing system; it defines the roof’s slope and, therefore, decides which roofing material is appropriate. Rafters are part of the truss that connects to the roof’s edge and the parts to where the roof deck is attached. Roof Deck – The roof deck consists of sheets of plywood or oriented strand board (OSB) that are joined to the rafters. Once installed, this serves as the bed of the underlayment and shingles. Barring water damage, the roof deck is often kept intact during a roof replacement process. Starter Strips – The first row of material at the roof’s edge is vulnerable to wind damage and water intrusion, which means it requires enhanced protection. Modern roofing systems, such as the GAF Lifetime Roofing System, feature starter strips installed using a combination of adhesive and nails for enhanced resistance against wind and water. Flashing – Most roofs have breaks in the material (such as in valleys) and in protrusions where chimneys and dormers meet the roof. Strips of metal called flashing are installed in these areas to prevent water intrusion. Drip Edges – A similar set of metal strips are installed at the roof’s edges. It prevents rainwater intrusion by routing rainwater straight into the gutters. Attic Ventilation – The attic requires proper amounts of ventilation to prevent the effects of trapped heat and moisture, such as damage to the truss, roof deck and insulation. It can be done passively through a combination of strategically placed intake vents along the roof length and exhaust strips at the ridges, or through solar-powered fans, both of which we offer as attic ventilation options. To explore our roofing systems or our other services, including repairing a roof leak, call Tedrick’s Roofing today at (877) 212-9355. We serve many areas in and around Auburn, WA.